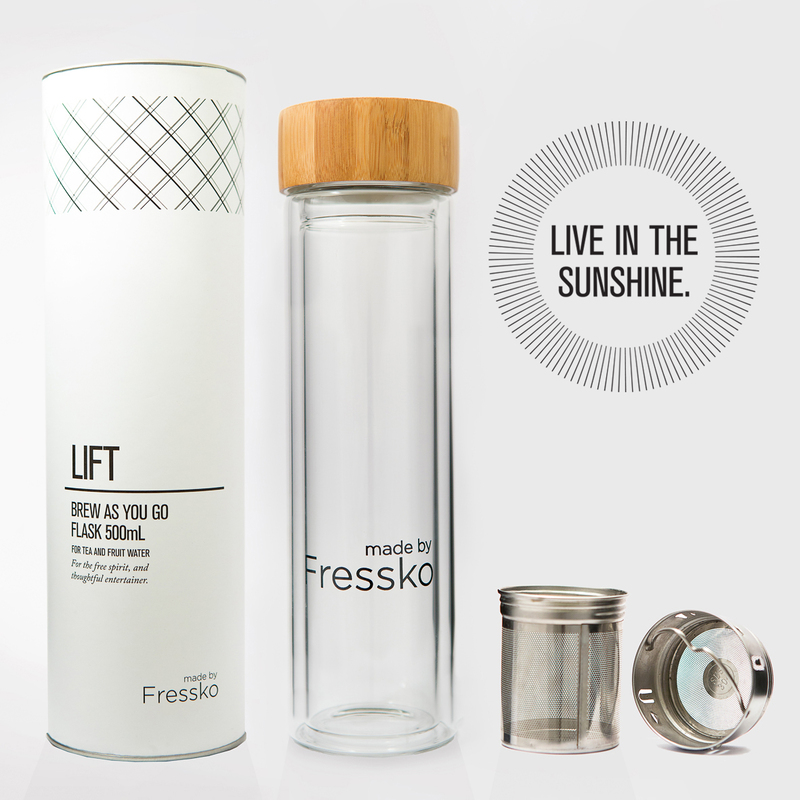 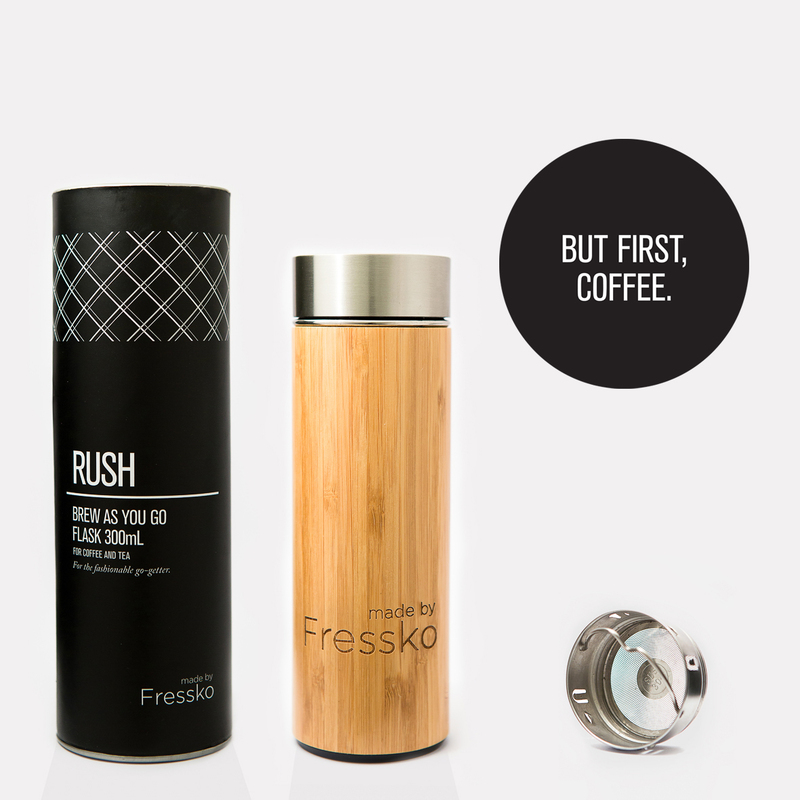 This stylish, chemical-free, stainless steel Fressko RUSH Flask, which includes Fressko’s Short “Infuse” Filter, is the perfect companion for brewing your special tea blend or simply mixing your coffee; all while you BREW AS YOU GO. 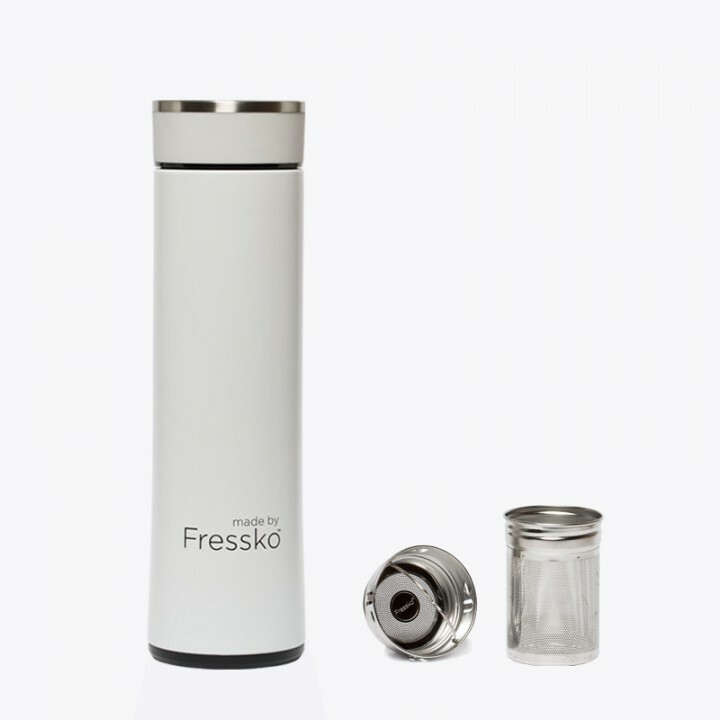 COFFEE – Remove Fressko’s Short “Infuse”, add your most enjoyed instant coffee blend or cold brewed coffee, screw lid back on and go. 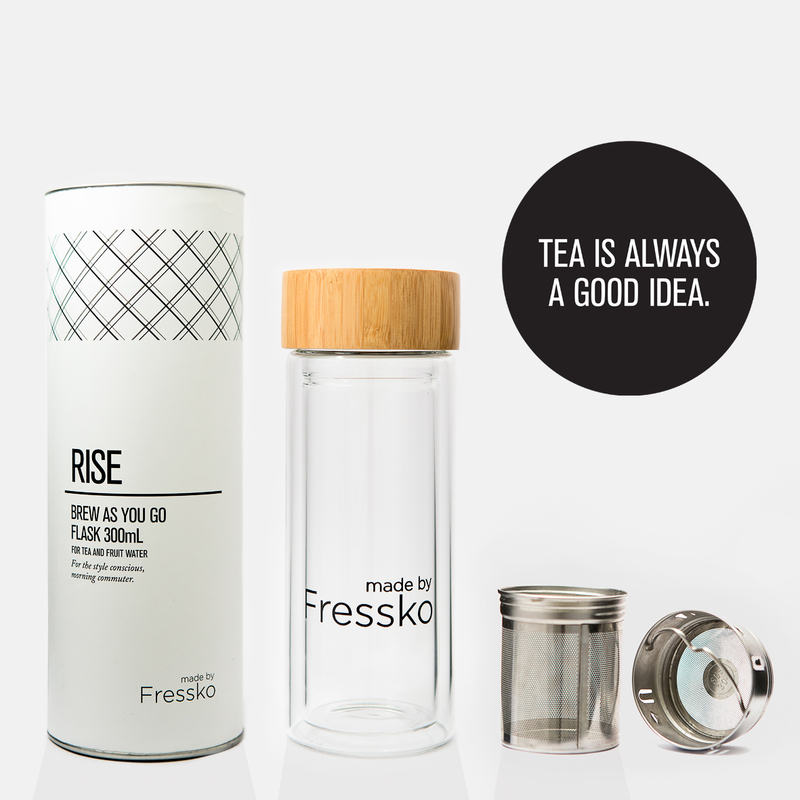 The product is made with stainless steel and is bamboo shelled to ensure the contents stay hot (while remaining cool to touch) or chilled for several hours with a leak-proof stainless steel rimed lid.